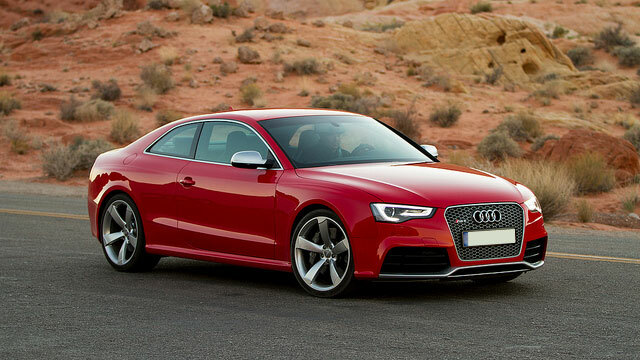 Combining modern technology with an old-fashioned approach to automobile manufacturing, Audi has become the go-to brand for drivers old and new alike who are constantly looking to have the latest and best when it comes to their cars. Whether it is because of the high-quality computer system inside the car or the ease with which it can reach full speed, drivers know that there is no driving experience quite like what Audi provides. With such a blend of technology into each car however, the importance of routine service and maintenance as well as professional repair work becomes more and more critical, meaning that it takes more than just any mechanic to properly care for your car. Providing the right care for your Audi is what the specialists at Mike's Foreign Car in Anaheim are here for. Open and servicing foreign vehicles since 1978, our staff does not use the "one size fits all" approach that so many mechanics often attempt to do and instead take the time to understand what goes in to each car so that we can provide the right service for each car. When it comes to maintenance for an Audi, it is just as important to know what type of work needs to be done for the internal computer and technical components as it is for the usual service areas like oil, fluids and service inspections, not to mention when repairs are required and at Mike's Foreign Car you can count on our specialists to provide all of that and more. As more technology is introduced and integrated into vehicles, proper care and maintenance become more important and our staff of specialists work to not only provide high quality repair work for any internal issues but to also be able to perform updates and upgrades for your Audi's software, helping to ensure that you receive the latest and most up to date driving experience that is available. Rather than spending hours waiting at a crowded Audi dealership for service, instead let the Audi specialists at Mike's Foreign Car give your vehicle the same high level of work but at an independent shop price that is more affordable and with personalized service that makes sure that your car receives what it needs whether it is routine maintenance or repairs to either the appearance or performance aspect of your Audi. If you are an Audi owner in Anaheim or Yorba Linda, Anaheim Hills, Fullerton or Placentia, CA, call Mike's Foreign Car today to speak with one of our specialists and see the benefits of high quality repair work first hand. Audi Repair received 4.5 stars out of 5 based on 70 reviews on Yelp.